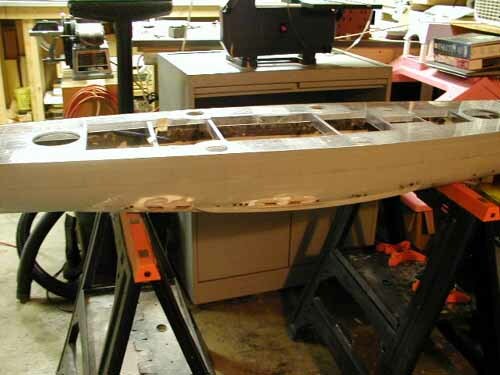 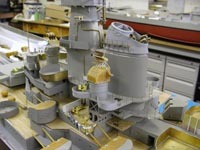 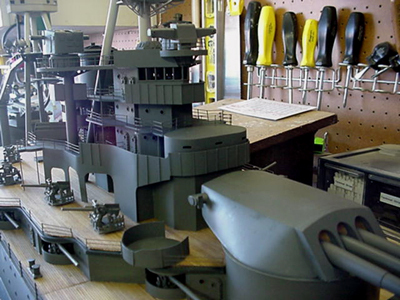 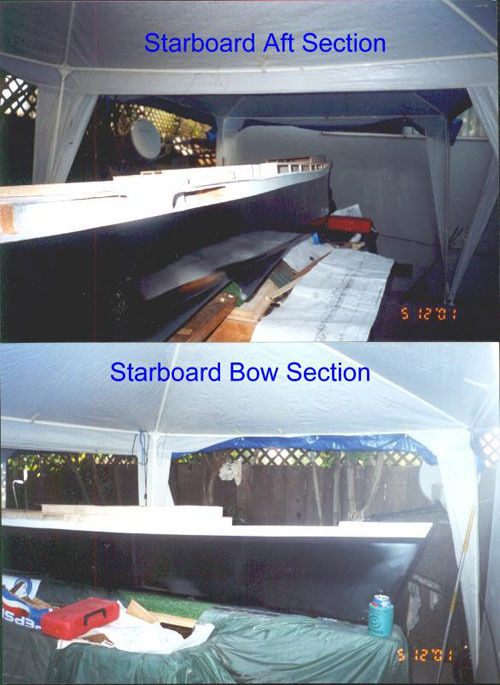 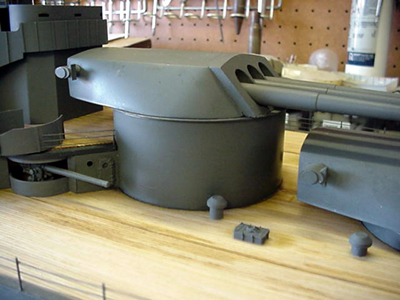 Lee Upshaw sent in these pictures of James' battleship under construction. 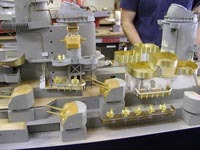 He is quite a good and innovative builder, and this will be a model well worth watching in the future! 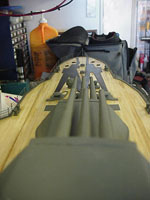 I hope to get more pictures of this model in the future, but here is an interesting view of the internal rudder linkage. 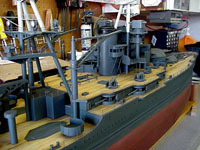 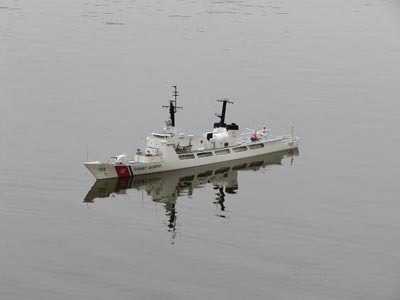 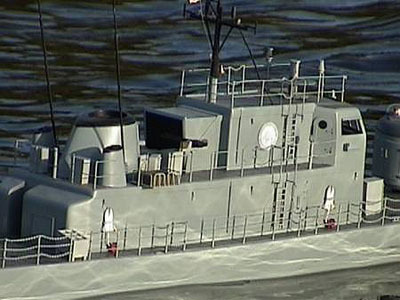 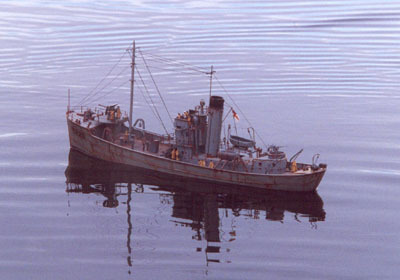 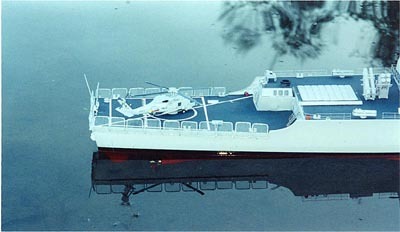 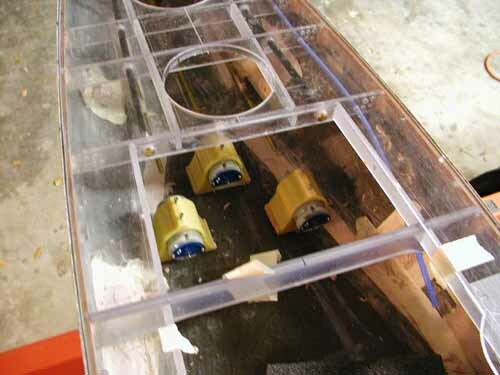 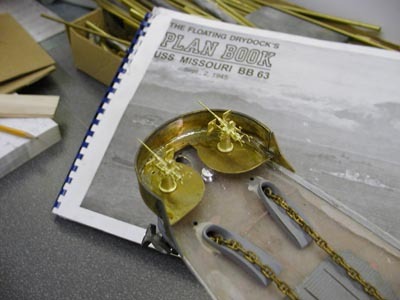 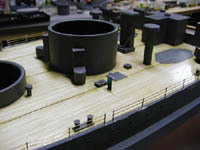 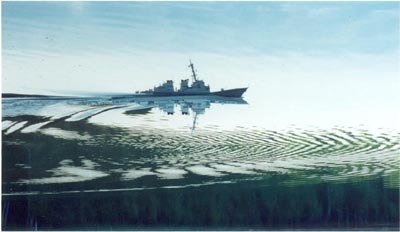 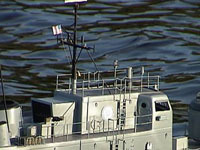 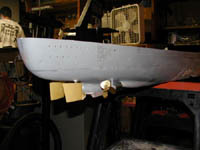 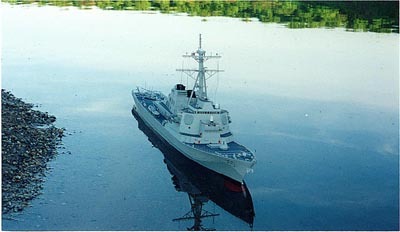 Stan and Lee Upshaw have spent considerable time reseraching the seachests and other underwater openings of the Bismarck; that research is reflected in the hull work the Stan has done to his model. 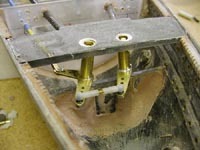 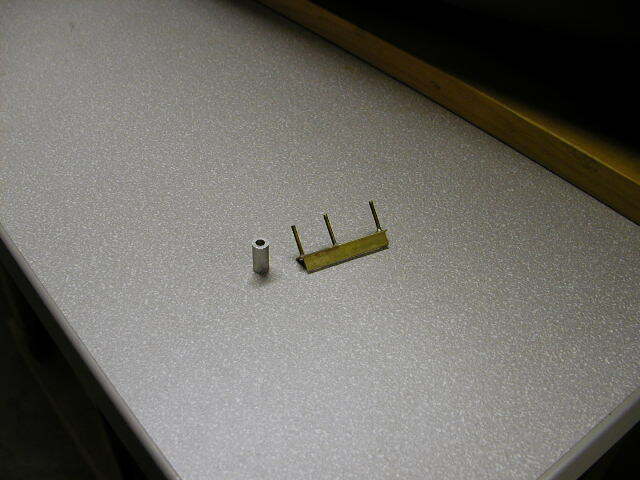 Here, Kevin has been installing the railings, using the jig shown. 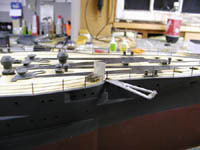 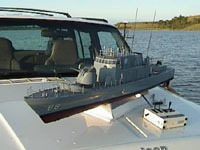 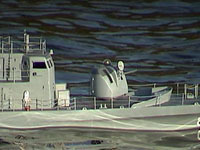 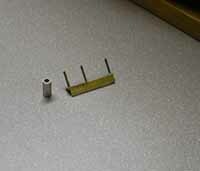 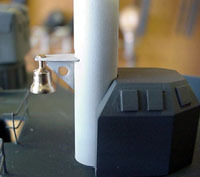 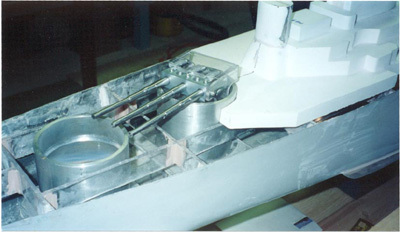 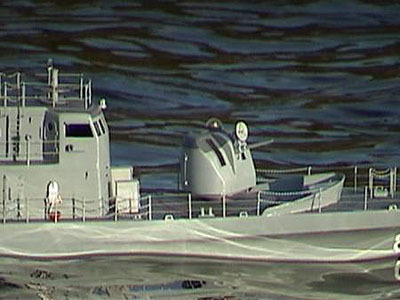 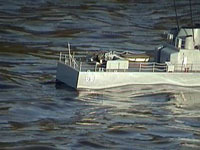 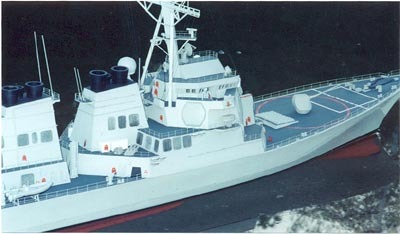 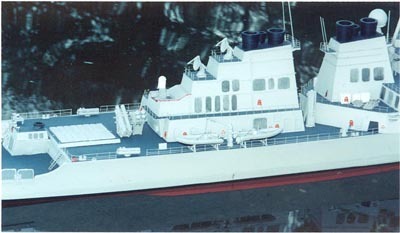 Note the use of an aluminum heat sink to prevent damage to the painted areas of the model during the soldering process. Here are some shots I took in October when Kevin was at the San Francisco regatta. 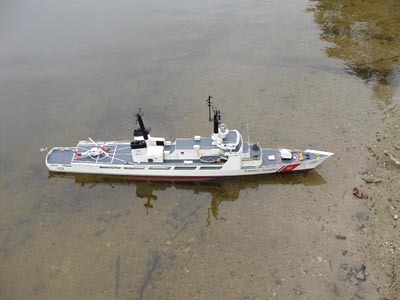 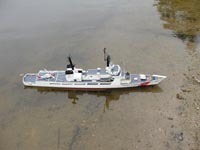 I am a modeller in the north of Scotland and mainly build work boats and fishing vessels. 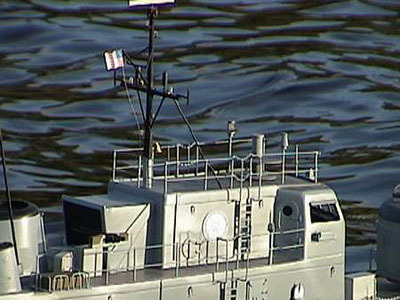 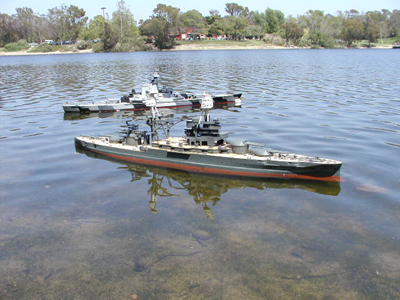 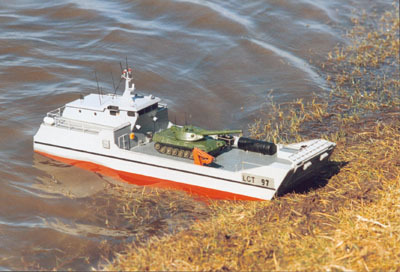 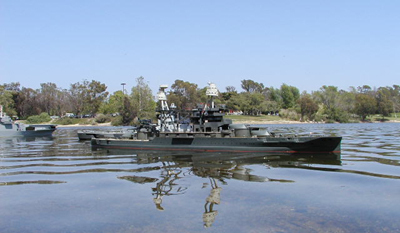 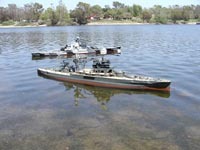 I built Calder Crafts round table class minesweeper as the Sir Lancelot, I also built a model of a landing craft, LCT 97, of which I have included pictures. You might remember John's HMS Hood in 172 scale...well, feeling that was a bit small, John has embarked on a bigger and more ambitious project, the SS United States in 1/72 scale. 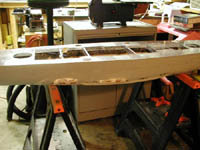 The ship will be built in two halves, and presumably transported and joined at the pond. I am looking forward to seeing this!